The World of Heineken is an exciting new venue for lovers of ice-cold beer. Located at the 58th - 60th levels of Ho Chi Minh City’s iconic Bitexco Financial Tower, The World of Heineken happens to be the one and only Heineken Experience venue located outside of the Netherlands, and is also the highest Heineken Bar in the world. The experience venue combines a stunning 360° view of Ho Chi Minh City’s skyline with a host of exciting activities. For starters, a tour by excellent English-speaking hosts, paired with gorgeous LED displays and real vintage artifacts will bring guests through the exhilarating history of Heineken’s countless pinnacles and milestones—from the first glass-bottled beer to becoming the first European beer imported to the United States. A quick and concise introduction of the Heineken natural ingredients and brewing process also gives adventurous guests a chance to take a sniff of Heineken’s hops concentrate, which it’s pretty strong. 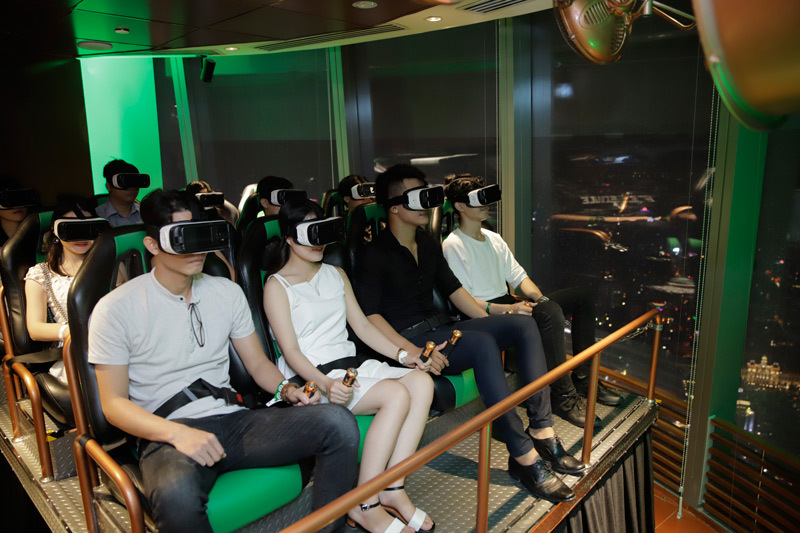 One of the experience’s most exciting features are the 4D Virtual Reality (VR) ride and a hands-on training session by a Heineken-certified draught master, which will reveal the best kept secrets of achieving a perfect half-pint pour with the ideal amount of beer head, before guests proceed to treat themselves to their liquid masterpieces. Indulge in a nostalgic ‘time tunnel’ display of some of Heineken’s most revered and unforgettable classic commercials that arguably changed the world for the better with catchy tunes and humorous themes. Football fans are in for a treat at The World of Heineken’s dedicated UEFA Champions League area which features a penalty shoot-out simulation made possible via motion sensors. The experience reaches a peak as guests relive the excitement of Formula 1 racing via widescreen displays and steering wheels while party animals rock the house with a touchscreen disk jockey table and an option to create their own recorded premixes. The indulgence doesn’t end here –every entry to The World of Heineken includes two additional half-pints of extra-cold Heineken beer fresh out of the tap along with snacks, which guests can enjoy from the top of the world while taking a panoramic stroll of the city from an eagle’s eye view. An additional fun slice of trivia: Heineken Vietnam produces 1.3 million bottles and 2.2 million cans of its all-natural lager annually in Vietnam. These numbers plus the massive local support made The World of Heineken a possibility in the heart of Ho Chi Minh City. 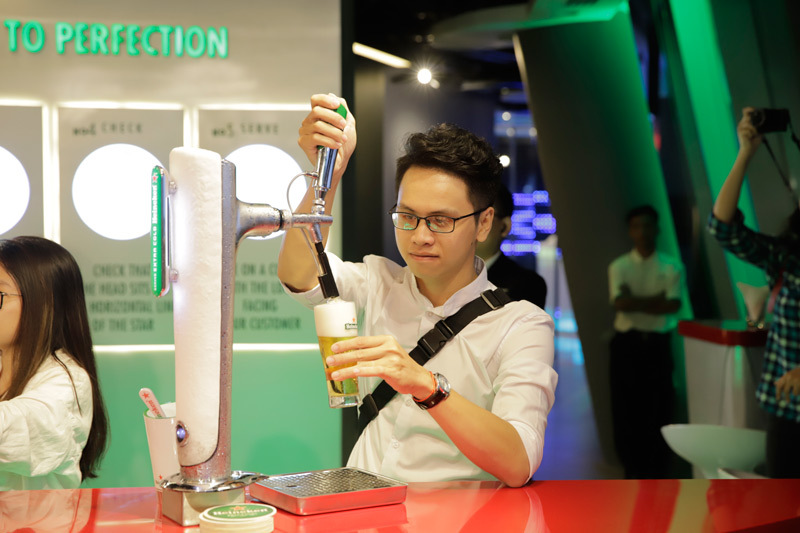 The VND 250,000 entry ticket to The World of Heineken includes the above-mentioned guided tour, two half pints (250ml) of Heineken extra-cold beer which excludes your own training pour (250ml if you do it right! ), a bottle of plain water, a 330ml bottle of Heineken beer printed with a custom word or name of choice as well as a complimentary visit to Bitexco Financial Tower’s Saigon Skydeck at the 49th level. Do note that the entrance to The World of Heineken is located at the ground level of Bitexco Financial Tower on the exterior of the building, at the junction of Ho Tung Mau and Hai Trieu street. The World of Heineken is not open for anyone under the age of 18. The experience is also not suitable for pregnant women due to health concerns; guests have to walk down stairs during the tour and some activities are deemed unfit for pregnant women. Our in-house reviewers were stunned by the panoramic view of the city from The World of Heineken’s bar area on the 58th Level. The full glory of Saigon river is clearly visible, even as far as the river delta of Can Gio! We believe that too many spoilers would simply take away all the fun. Check it out yourself if you’re a true beer lover! Reviewers on Google Maps praised The World of Heineken for it’s great value: VND50,000 more than the entry ticket to Saigon Skydeck, which does not include any drinks or beer. 86% of reviewers on Tripadvisor.com gave the venue 5 out of 5 stars, emphasizing the impressive city view and delicious beer combined with a fun experience. Beyond that, even non-drinkers expressed satisfaction after accompanying their spouses to the venue. On a similar note, local Vietnamese visitors on Foody.vn described the experience as interesting, fresh and worth more than a single visit! Fancy free flow ultra-chilled Dutch lager? 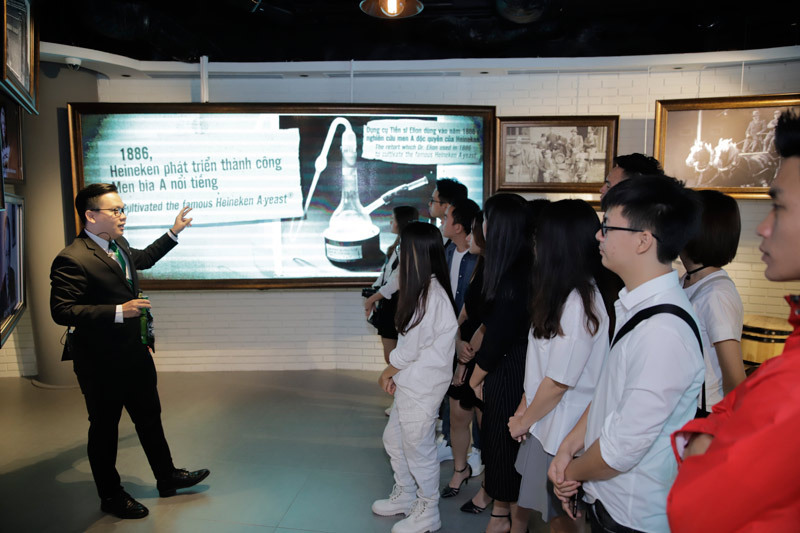 Don’t forget to follow, like and share Heineken Vietnam’s Facebook page for the latest updates on special monthly events hosted at The World of Heineken.